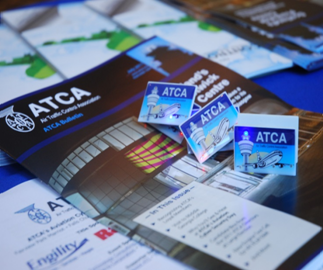 Sponsoring at the ATCA Tech Symposium means constant exposure for your organization before, during, and after the event. Each type of sponsorship is unique, and offers different benefits. Sponsorship opportunities, contract, terms & conditions, and credit card authorization are available HERE! Interested in advertising at Tech? Rate Card is available HERE! Contact: Rugger Smith at 1 703 299-2430 x 318 or with specific sponsorship questions and requests. We welcome new ideas for sponsorship, but also have a host of available opportunities to tell you about.